So not many of you know but I’ve been trying my hand at Instagram cooking videos for the past couple of months. I’m no fabulous cook but I get a kick out of trying. 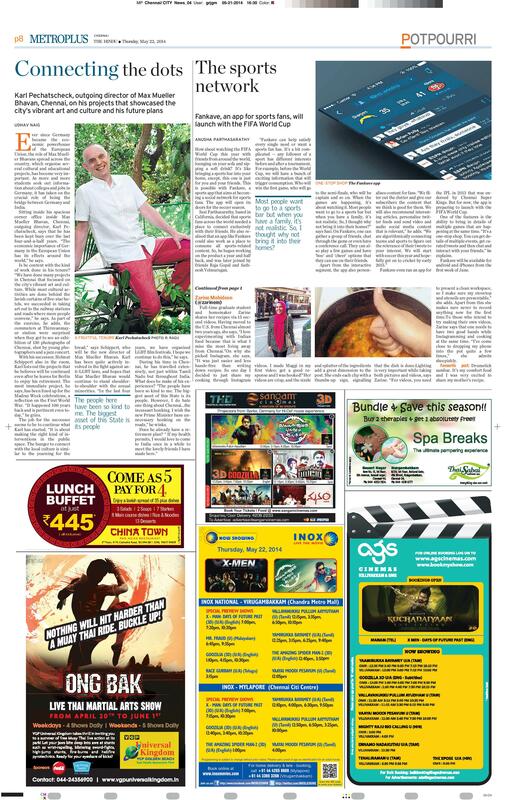 My wonderful friend who works for The Hindu decided to feature me and a few other Instagram cooks as her first story for the MetroPlus. I am such a huge fan of The Hindu and it has always been my dream to be in it. So check me out in todays MetroPlus and here’s the link to the online version. You can also follow me on Instagram @zarinem. Hello, celebrity! Following you on insta now! But your sambar recipe needs more than 15 sec for my chintu brain. Can i use any veggie instead of drumstick? And everest masala? I’m sure any masala will be good. And can add brinjal like how I added drumstick. Whats your insta name btw? Yay! And drumstick sambar looks really yummy! Yay !! That’s awesome to be featured. Congrats ! !